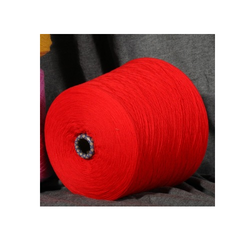 We are instrumental in offering our valued clients with an impeccable range of Blended Yarn. These yarns are woven from high grade fiber and the latest technology by our experts in compliance with international set standard. Further, provided range is widely demanded in various textile industries for the fabrication of different types of fabrics. Clients can avail the entire range from us in varied colors, finishes and grades as per their specific requirements. We are well-reckoned for offering an exclusive assortment of Blended Yarn that is used as material for dress shirts. The offered blended yarn is used in textiles, sewing, knitting, weaving & embroidery & also available in numerous roll lengths. This blended yarn is spun with high grade raw material and progressive techniques. 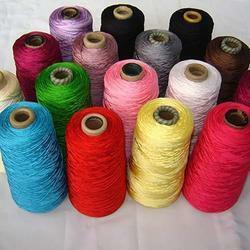 Furthermore, the provided blended yarn is available in bulk quantity within a stipulated time. 1/40 acrylic polyester @270/- available in various shades.